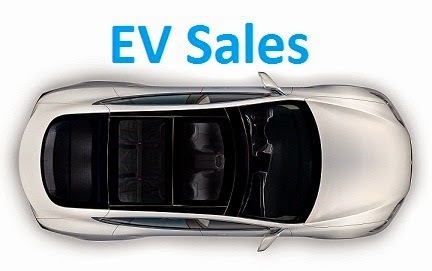 The Icelandic plug-in market is mirroring the Football National Team 2016 Euro Cup performance, punching well above its waist, with December registering 108 units, a new all-time record, with sales up four-fold YoY, pulling the YTD numbers to a record 862 units and the EV market share to a record 4,66%, significantly above the 2,93% of 2015. This "Little Norway" is currently the Third market with highest plug-in share, only behind the aforementioned Norway (+/- 29%) and Hong Kong (+/- 5%), making it an interesting test bed market to study. The two times winner (2013 & 14) Nissan Leaf lost the 2016 Best Seller title in December, incapable of resisting the 53 Outlander PHEV registered last month, a new monthly all-time record, pulling the Japanese SUV to the leadership, with 153 units (New record), a first for a plug-in hybrid in Iceland. Considering the local addiction for SUV's, the rise of plug-in hybrids (63% share in 2016, up from 36% in 2015) and the fact that the Mitsubishi model has always been the Best Selling PHEV ever since it landed, expect it to be the main candidate for the 2017 Best Seller title. In the brands ranking, Volkswagen (28%, down 2%) won its second Manufacturers title, with Mitsubishi (18%, up 5%) surprisingly stealing the Silver Medal in December from Nissan (16%), with Mercedes (8%) ending in Fourth, thanks to their SUV's. How is the numbers for Hong Kong? What i can see you haven't reported them since 2015, aren't you able to get them anymore or are they included in the China sales? I only have totals, Tesla and not much else, that's why i haven't published HK posts recently. So some of the missing BMW could be in Hong Kong?